Heading the Fertile Heart Cooking Corner wasn’t exactly part of my plan after graduating from Culinary Institute of America. But cooking was what made me feel less helpless after we received the news about Julia’s soaring hormones and the dire prognosis: there was no documented case of anyone conceiving with Julia’s FSH levels. In her quest to overturn the verdict of the experts, my wife appeared to be unstoppable. Coming up with dietary changes turned our lives into one continuous research project. As it happens, as a professional chef I had stellar qualifications for translating her fertility inducing theories into tasty meals. Years later, here I am, grateful for our family of four and thrilled that I’ve been able to share much of what I learned with thousands of people over the years. I am thrilled to announce the upcoming release of my brand new book, Cooking to Conceive the Inconceivable, coming out on June 18, 2018 (yes, Father’s Day!) 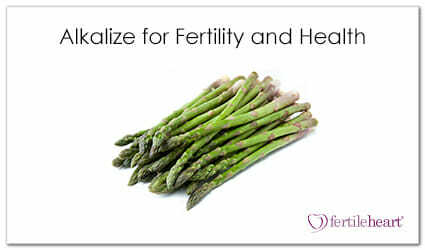 we’ll be adding some new recipes, and continue to offer guidance on using food as a Fertile Heart OVUM tool. Can our pH levels, in other words our acid-alkaline balance, affect egg and sperm quality conception, implantation, and just about every organ function involved in getting pregnant? We have an ongoing conversation about cleansing in our Fertility Support Teleconferences, but for now these 10 Steps to pre-conception detox are meant to spell out some of the principles of gentle cleansing, adding foods and supplements that will lovingly nudge the body toward a more pregnancy friendly space without spending a fortune. An ever increasing volume of research proves the beneficial effect of fertility foods, natural fertility supplements and natural fertility herbs on the functioning of the endocrine system and all aspects of the female ovulation cycle. 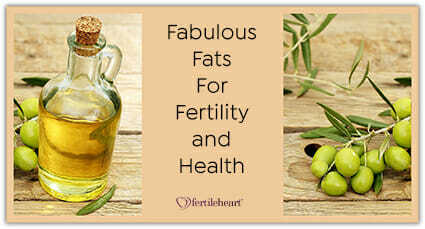 Estrogen is stored in the fat cells, so healthy fats are essential for a healthy hormone profile. In January I found out I was pregnant naturally and during those early days remember just doing your Nine Hearts Imagery over and over again even though I was petrified of another failure. I had to dare to dream and visualize him in my arms with a healthy heartbeat. How can I thank you enough?